To materially boost the number of units in an era in a manner that moderates prices in a highly desirable place like San Francisco would require massive changes in the built environment of its neighborhoods. This would radically transform the character and nature of the city in question. If San Francisco were really covered in skyscrapers, it would cease to be San Francisco--- a city of low-rise buildings framed by hills that would be obscured by high rises. There may well be the same geography on the map labeled as such, but it would be a completely different place. 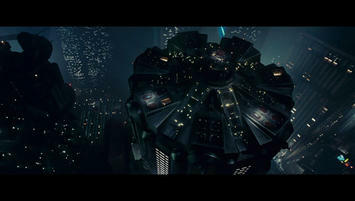 We would have to destroy the city in order to save it. We can build some housing incrementally, without changing the skyline or cityscape, but not anything like enough. To produce enough homes to matter, fast enough, we're going to have to fundamentally alter parts of our cities. That, of course, demands a local government willing and able to plan and permit such widespread change. It also takes an array of homebuilders doing the actual work, often in more innovative and low-cost ways, like more collaborative housing, manufactured buildings and flexible living spaces. Most of all, it takes broader public insight into how large-scale development can improve our cities. Of course no one is actually saying to take it this far, although Glaeser’s vision gets close it. But once we enshrine the rule that a certain threshold of unaffordability means more density and building regardless of neighborhood character, it’s hard to see what the limiting principle would be. Also, high rises or even buildings above 4-5 stories in height usually require expensive construction techniques, and thus are inherently costly. Clearly the zoning and building regulations in our cities are often too strict. Yet the disasters of previous generations’ radical change suggests that incrementalism is a better course. By all means allow two-unit houses, corner stores with upper story apartments, etc. into currently all-single family zones. Add areas where high rises are allowed the peripheries of districts currently zoned for such; warehouse districts as well as office buildings that are not well occupied. But don’t bring out the bulldozer wholesale. Additionally, a healthy city should make sure to embrace the entire palette of housing types – including single family homes. There’s more to making cities attractive to middle class families than just cost, and things like the prospect of a backyard for the kids to play in are among them. Submitted by PhilBest on Sat, 03/01/2014 - 00:03. The UK's urban economists, with their much longer experience at analysing the effects of growth containment policies, largely disagree with Glaeser et al that non-boundary "anti growth" regulations have much effect at all on housing affordability. By way of illustration, house prices in low density Boston are about the same in real terms as house prices in the UK's very high density cities. The fact that Boston has minimum lot sizes as large as a whole acre in new developments, yet in the UK typical new developments are 20 units to the acre, does not result in the tiny-lot homes in the UK being any cheaper.......! Glaeser, Ward and Schuetz (2006) find re Boston, that every added 1/4 acre mandated increases real house prices 4%. Considering that all fringe-constrained cities in the world have house price median multiples of around 6 and those without constrained fringes have median multiples of around 3, this suggests that the fringe constraint is responsible for a 100% increase in "house prices". This is regardless of density mandates or otherwise. Of course the raw land price inflation has to be 20+ times, to explain this. And it is. Specifically where Glaeser et al and the UK economists disagree, is that Glaeser thinks that allowing higher density development would improve affordability. Experience in the UK utterly disproves this. Constraining the fringe means that added "economic rent" per housing unit will be to the order of around 3 times annual household income. Three times annual household income, would typically buy ten to twenty acres of rural land. If the embodied raw land cost in fringe housing is 3 times annual household income with a 1-acre lot (in, say, Boston) then the inflation is 10 to twenty times. If the embodied raw land cost in fringe housing is 3 times annual household income with a 1/20 of an acre "lot" - as in the UK - then the inflation is 200 to 400 times. And indeed it is this high on the fringes of UK cities. I suggest - and I know Cheshire and other UK academics agree with this - that "upzoning" merely increases the capital gain to site owners; it does not result in greater per-unit affordability at all. This is also obvious in fringe developments in Canada and Australia where quite high densities are the norm; and also in newly-permitted high density developments. It is also worth noting that in Singapore where the land market is virtually suspended altogether, "housing" median multiples are still around 6 to 8 even when there is no site rent gain to cope with. This is impressive compared to Hong Kong, which has median multiples of 14+, for smaller units; but affordable cities (median multiple 3) all have average housing sizes several times as great. Singapore's data suggests that the cost of "building up" alone, results in median multiples of 6 rather than 3; while increased site rents (absent in Singapore) are responsible for several more points of median multiple increase in the absence of rent-minimising fringe development freedom. I also suggest that Manhattan's most impressive "building up" mostly occurred during the era of freedom of fringe growth of the NY urban area, which must have had some beneficial effect on keeping land rents lower throughout the urban area. Manhattan is special of course, but there has to be some "option values" effect from locations available just across the Hudson; locations available a few miles further inland; locations available a few miles further inland again; and so on until the fringe is reached. UK cities lack this advantage due to their fringe growth constraints, hence office rents in the centre of MOST UK cities, even small ones, are higher than those in Manhattan. I would dispute, on the evidence, the claim that this difference is because Manhattan has built "up" while the UK cities have not. I would argue that the UK cities fringe constraints mean high rents in the city centre regardless of how much building "up" is allowed. The possible exception is if so much building "up" happens that it is literally an oversupply bubble. A crash would result in affordability for quite a few years afterwards. Something like this did happen to Manhattan in the 1930's, of course. The Empire State building was nicknamed the "Empty State" building for years. Submitted by shanedphillips on Wed, 02/26/2014 - 16:16. First, totally on board with incremental growth, but it should be continuous, not the type of upzoning we see now where you end up with massive upzonings in some areas while others remain completely untouched. Allow duplexes and half-parcel homes, then in ten or fifteen years upzone again, perhaps to 3-story apartments. 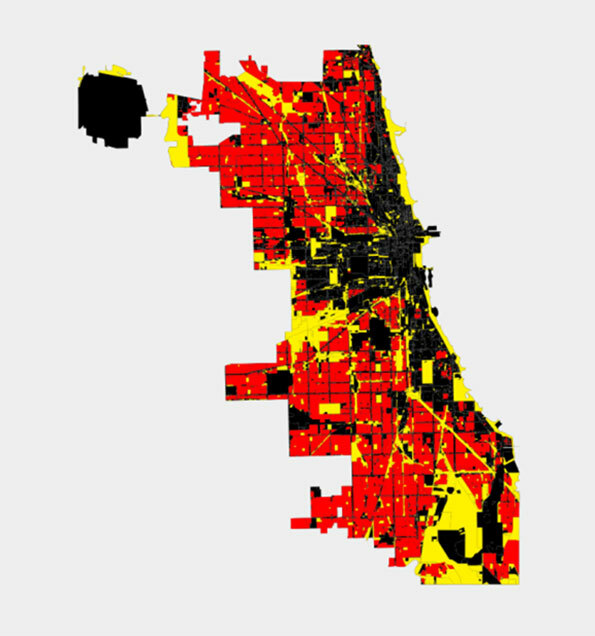 I don't have a specific plan for this because it's a big job, but the overriding point was that we're concentrating a lot of growth in a very small area and it's done almost entirely for the reason of "character preservation," which seems like a weak excuse given the scale of the challenges cities are facing. 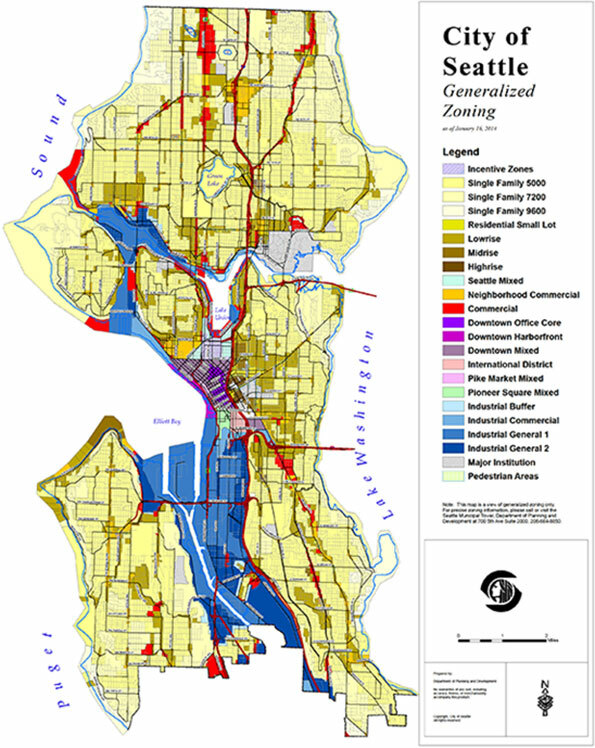 As a side note, about half of the housing stock in Seattle is single-family, so in that case a slight upzone could actually make a massive difference. Second, I think comparing these propositions to Le Corbusier, or places like Pruitt-Igoe, is exceptionally unfair and fundamentally mischaracterizes the argument. I've read enough of your writing to know you're aware that this isn't about a command-and-control government-led construction operation. It's about allowing developers to build when they deem a need, and they're very good at determining whether there's a need or not (generally speaking). Some single-family neighborhoods might, over the course of 30 or 50 years, turn into three-to-six story apartments maybe, yes. But as I wrote, many cities have a LOT of single family land and can afford to lose some. Maybe even more importantly, single family homes are usually owner occupied, so even if the residents lose the character they cherish -- a character I would cherish too, living so close to the city and still having a yard, garage, etc -- they get financially compensated. You can't say the same for the people who live in the areas that are currently being upzoned and redeveloped. Submitted by Snats on Wed, 02/26/2014 - 13:37. There is a lot to agree with here, and a few points to quibble with. Here are some thoughts, not all directed at Aaron who does excellent work. Modern urban planning as a whole has a problem with discussing the built space, without enough thought towards the actual people involved. In my city of Portland this has led to a strange situation where it often feels like the planners are planning for theoretical people who don't live here yet, while dismissing any current residents who raise an objection as NIMBYs. Ironically, these current residents are the actual community, and the actual tax payers who employ these same planners and pay their salaries. A quibble would be over the argument that "there are many low-cost urban areas to live in." Those will often be the cities where there aren't jobs. The Bay Area has lots of good jobs. That's why people want/need to live there. "Move to Detroit and buy a old mansion!" is just as unrealistic as it sounds for 99% of people who have life elsewhere. 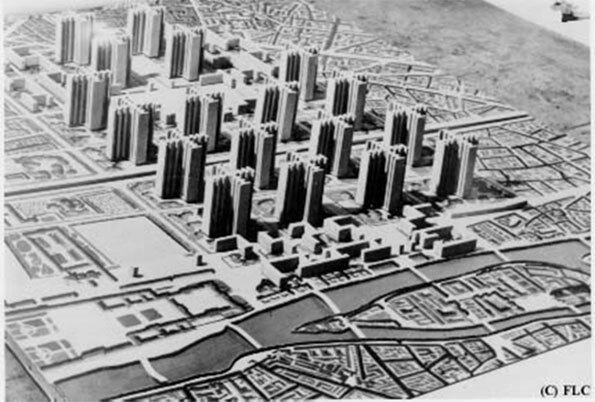 Again, the "move somewhere else" arguments are often the result of depersonalizing urban planning and thinking of the residents as an afterthought or as little simcity bots. Another issue is that everyone who talks about these issues in any forum has to internalize the fact that the Millennial generation is just in one life stage right now. It is VERY common to talk about them as if their current lifestyle choices will remain constant forever and should drive all urban planning policy. Finally, we need to understand that humankind is diverse and there are all sorts of people with all sorts of preferences. I'd argue one of the main arguments against trying to turn every major city into Manhattan is that not enough people actually want to live that way. I don't want to live in high-rise housing and surveys show that most people agree with me. We need to stop treating people who choose to live in the suburbs or exurbs or small towns and rural areas like they "just don't get it" or like they would obviously prefer to live like us but just can't afford it. We need to accept the fact that they are free agents who know what they're doing and prefer it. The suburbs are there,and growing, because people want to be there and they will continue to want to be there. Submitted by Jardinero1 on Wed, 02/26/2014 - 12:17. Houston does not have a formal zoning code. But it is a great myth that Houston has no land use controls. Both the city and county enforce a host of form based building ordinances. These ordinances regulate setbacks, maximum coverage on lots, parking and flood control. The ordinances are not the result of a unified plan but have come together over the years in response to various political, economic and environmental pressures. Additionally, nearly all real estate development is controlled by deed restrictions placed on each parcel of property in Harris County. Deed restrictions circumscribe the use of a particular parcel. Deed restrictions run with the parcel from one owner to the next until they expire at some future date expressed in the restrictions themselves. In days of yore, they would expire and not renew unless a majority of residents in a sub-division voted to renew them. More recent developments automatically renew on a given date, unless a majority of residents of a subdivision vote to allow them to expire. The deed restrictions in my own sub-division ran for forty years from 1963 to 2003. They then renewed automatically, without protest, in 2003 and 2013. Deed restrictions are the single greatest impediment to property re-development and densification in Houston and Harris County. The areas of Houston with the greatest amount of re-development and denser land use are those areas where deed restrictions have expired, without renewal, effectively leaving the property wide open for any new use. Submitted by dankingbooks on Wed, 02/26/2014 - 10:24. So I have heard that Houston has almost no zoning, and that seems to work out fine. Of course the city has few geographical restrictions and no history worth preserving, so that makes it easy. (Full disclosure: I've never been to Houston.) But eliminating zoning altogether would probably go a long way toward solving the problems Mr. Renn identifies in his article. Let people make their own decisions about what their neighborhoods look like. Of course sometimes they'll make bad decisions, but city governments and corrupt zoning boards are surely worse.